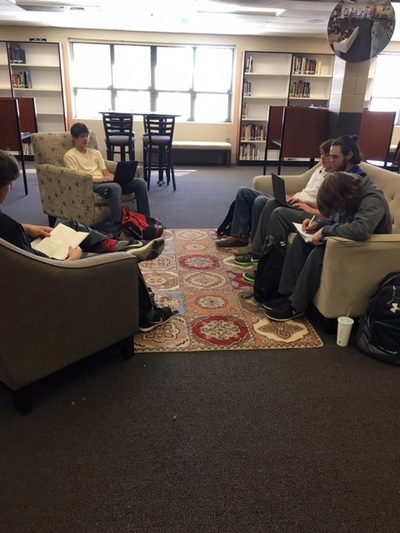 The MCHS Library is open each day from 8:00 to 3:30. 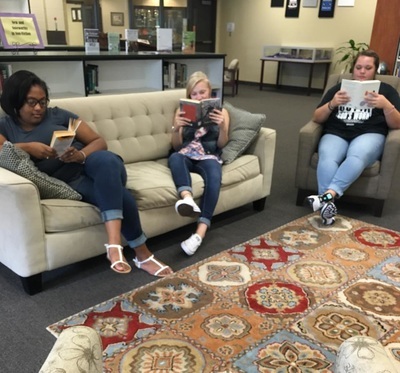 Students may check out up to four books at a time. Check-out period is two weeks, and books may be renewed. The library currently has 8 desktop computers, 13 iPads, and a cart of 28 Chromebooks. Students may check out devices unless they are reserved for classroom use. Students also have wireless internet access within the Library Media Center for their personal devices. Students must abide by the MCBOE Acceptable Use Policy. Accessing the Student-BYOD network is a privilege and can be revoked by administration. Madison County High School and the MCBOE assume no responsibility for data overage charges, theft, loss, or damage to any personal/wireless communication device. 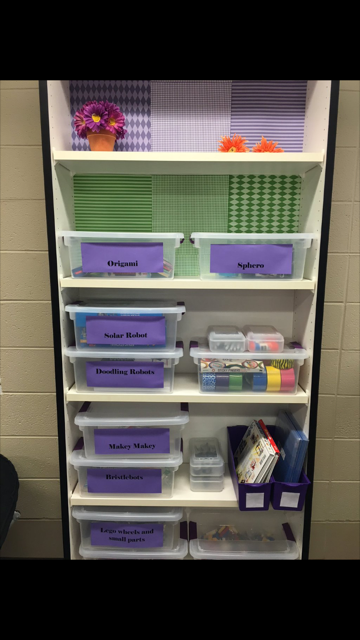 Students are invited to use the Makerspace area of the library, featuring Sphero, Makey Makey, Lego, Origami, and Robots.